Despite nearly 20% of marriage and family therapists graduated from COAMFTE accredited programs work within adoption and foster care agencies, less than 5% of COAMFTE accredited programs offer formal education and guidance focusing on working with foster care children. Some estimates suggest over 500,000 children in the United States enter the foster care system every year with many of them encountering mild to severe emotional, mental, and physical health concerns. Focusing on strengthening attachment between the foster child and parent could assist in alleviating many of these concerns. In an effort to begin addressing this notable gap in training paired with a demand for competent therapists who can serve children within the foster care system, this article has a twofold purpose. First, through synthesizing existing literature this article offers context and education about adverse experiences and concerns of children in foster care. Second, through an attachment lens clinical suggestions and interventions are discussed to assist MFTs in improving many of the emotional, mental, and physical health concerns found in this population. This manuscript is strictly theoretical in nature, based entirely on prior research and literature. As such, there was no inclusion of human or animal research participants. AFCARS (Adoption and Foster Care Analysis and Reporting System) (2016). The AFCARS Report. Retrieved from https://www.acf.hhs.gov/sites/default/files/cb/afcarsreport23.pdf. DHS Child Welfare Procedure Manual (2007). Family visitation and contact. Retrieved from http://www.dhs.state.or.us/caf/safety_model/procedure_manual/ch04/ch4-section26.pdf. Perry, B. D. (2001). 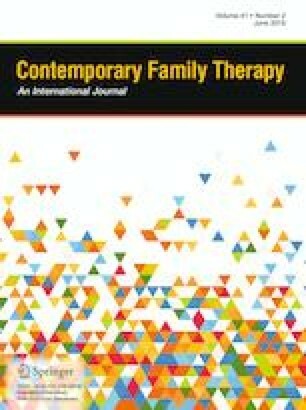 Bonding and attachment in maltreated children. Child Trauma Academy. Retrieved from https://childtrauma.org/wp-content/uploads/2013/11/Bonding_13.pdf. U.S. Department of Health and Human Services, Administration for Children and Families, Adminstration on Children, Youth and Families, Children’s Bureau. (2016). Child welfare outcomes 2015 report to Congress. Retrieved from https://www.acf.hhs.gov/cb/resource/cwo-2015. United Nations. (1989). United Nations Convention on the Rights of the Child, 61th plenary meeting. Paper presented at the Committee on the Rights of the Child, New York. Retrieved from http://www.un.org/documents/ga/res/44/a44r025.htm.